It's no longer a secret, the new 2019 Mazda3 is completely new and redesigned this year. 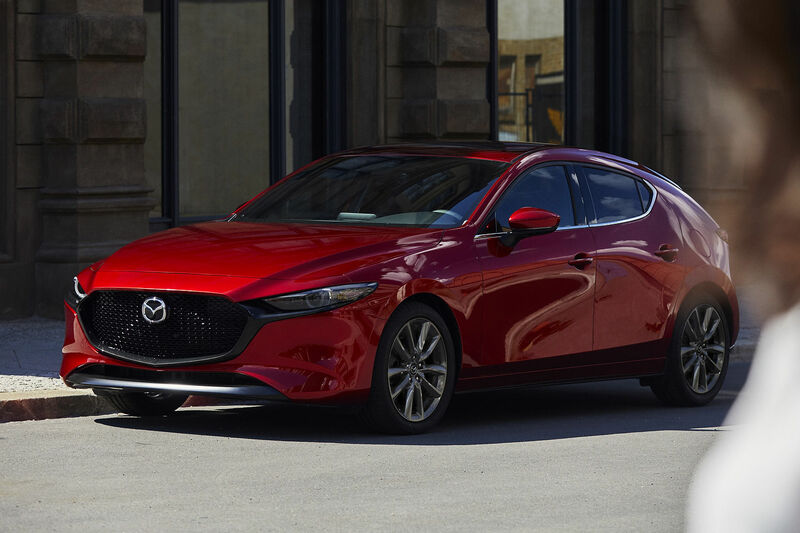 With its sportier styling, many new technologies and improved road handling, the new 2019 Mazda3 offers a lot to its next owner. We've already talked about the new 2019 Mazda3, but this time we want to focus on the optional i-ACTIV AWD system in the Mazda3. This system is sophisticated and particularly interesting, and it allows the Mazda3 to offer what very few cars in this category can offer: The stability of a four-wheel drive system. The 2019 Mazda3 and its i-ACTIV system are exclusive in this segment. It is a unique system that sends power from the engine to the front wheels in normal situations. The i-ACTIV system, however, is able to read and analyze the driver's actions, such as acceleration and steering wheel direction. I-ACTIV can also pick up wheel slip. If traction and grip are compromised, i-ACTIV will transfer power from the engine to the front wheels to ensure optimum handling. Mazda offers its i-ACTIV all-wheel drive system in the Mazda3 sedan and the Mazda3 Sport hatchback. The first is available starting at $ 26,000 while the Sport model is available starting at $ 27,000. In the sedan version, a 2.0-liter, 155-horsepower four-cylinder engine is standard, while in the hatchback model, buyers get a 186-horsepower, 2.5-liter four-cylinder engine. This engine is also available in the sedan version. Of course, AWD models also get a bit more equipment and features including heated front seats, dual-zone climate, the full suite of i-ACTIVESENSE driver assistance features, and even a heated steering wheel. No matter what model you buy, the 2019 Mazda3 with i-ACTIV AWD is designed to keep you on the road and ensure superior performance. Visit us today at Regina Mazda to learn more about the new 2019 Mazda3.